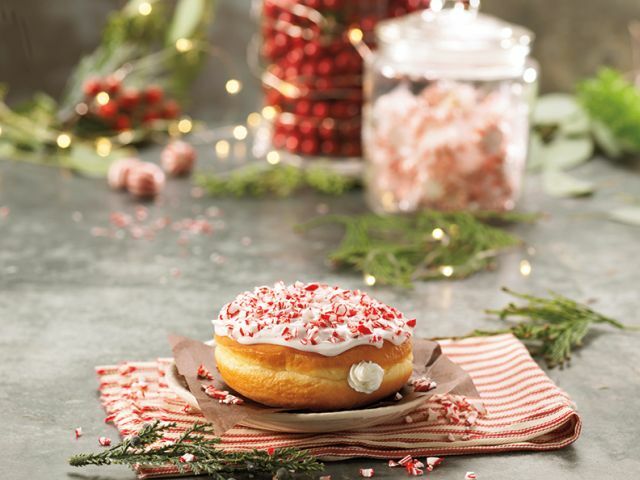 This year's holiday line-up at Dunkin' Donuts sees a few new faces, such as the Candy Cane Crunch Donut, as well as a couple of returning ones. - Candy Cane Crunch Donut - A yeast donut filled with vanilla-flavored buttercreme, topped with white icing and crushed candy cane pieces. 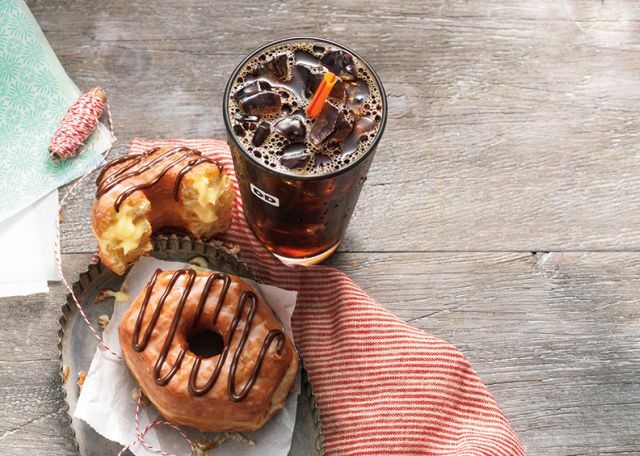 - Boston Kreme Croissant Donut - A glazed croissant donut drizzled with chocolate icing and filled with Bavarian creme. - Creme Brulee macchiatos, lattes, and coffee - Featuring rich creaminess with caramelized sugar. Back for the season are Peppermint Mocha machiatos, lattes, and coffee options. Salted Caramel also carries over from early fall. Dunkin's 2016 holiday menu can be found at participating locations through the end of the year. On the savory side of things the Sweet Black Pepper Bacon Breakfast Sandwich makes a limited time return through early 2017. It includes egg, American cheese, and four strips of bacon coated in a brown sugar and black pepper seasoning on a croissant. A Wake-Up Wrap version is also available and consists of a half portion of egg, American cheese, and two slices of the same bacon wrapped in a small flour tortilla.